Q. How secure is your facility? A. All of our storage units are safe and secure, thanks to our high definition surveillance cameras and individual unit door alarms. Access to our facility is restricted by keypad entry and proximity access readers. We also employ bright LED lighting throughout our facility. Q. Can I store my vehicle? A. Depending on the storage unit size, you will be able to store vehicles ranging from motorcycles to small boats. Visit our Size Guide page to estimate the storage space necessary for your needs, and call to speak with one of our storage professionals for further information. Q. Do you have any deals or promotions? A. We currently have Grand Opening specials for the first 150 tenants. By becoming a Charter Member, you can gain several perks in addition to special rates. Learn More. Be sure to check back after our Grand Opening for new move-in incentives and discounts! Q. Do you provide the locks for the storage units? A. If you are a Charter Member, you will receive a free disc lock with your unit rental. We also offer locks in our storage office retail area. Q. What are the types of storage available? Q. Do you offer a moving truck with storage unit rentals? A. Yes! We offer free use of our move-in truck when you rent a unit, as well as complimentary push carts and dollies. Please contact our office for more information. Q. What are climate controlled storage units? A. Climate controlled units maintain temperature and humidity at consistent ranges, protecting items from contraction, rot, or mold. Consider our climate controlled units if you plan to store instruments, appliances, electronics, documents, furniture made of wood or leather, or other sensitive items. 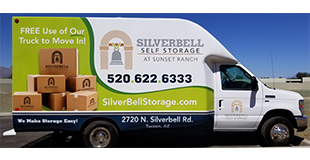 A. Silverbell Storage offers a wide variety of payment options for customer convenience. 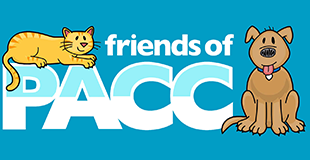 We accept cash, money orders, checks, and all major credit cards. Additionally, we provide an optional auto-pay plan for tenant convenience. You can make payments by coming into our facility, over the phone, or through our online tenant portal. Q. Do you sell any moving supplies? A. We sell a variety of moving and packing supplies at our on-site store. We offer moving boxes in a variety of sizes and styles, packing materials, tape, and items designed to protect delicate goods such as a dishes and mattresses.